As we embrace more and more new technology, troublesome new trends—such as cyber bullying—have emerged that may have more widespread effects than traditional bullying alone. Cyber bullying makes it difficult to track, respond to, and combat incidents of bullying. It is thus important to develop prevention programs that target specific issues of bias, ethnicity, culture, and equity. Certain policies, practices, programs, and legislative changes can begin to address the prevention of bullying and cyber bullying, and the many negative outcomes associated with both. The person who bullies or cyber bullies purposely inflicts, or intends to inflict, harm on the bullying victim. Every child is potentially susceptible to bullying, but some children are at greater risk. Those who are disproportionately bullied include LGBTQ youth, youth with disabilities, and youth perceived as immigrants or refugees. In addition, youth who are socially isolated, excluded, disconnected, and/or who lack friends are more susceptible to bullying. Understanding these risk factors can help policy makers and school leaders address equity issues and aid victims and perpetrators. Children who are bullied feel unsafe and fearful. Victims of bullying are more likely to have higher rates of absenteeism and resulting academic underperformance, anxiety, and eating disorders.5 Bullying also increases children’s risk for negative psychological and social outcomes,6 and children who are bullied are more likely to exhibit self-destructive behaviors, have suicidal thoughts, and develop mental health problems like anxiety disorders, panic disorders, and agoraphobia.7 Although suicide among bullying victims is relatively rare, a number of recent high-profile incidents and suicide pacts have turned national attention on the issue. Research and best practices show that the best way to address bullying and cyber bullying is through a combination of evidence- or research-based social-emotional learning and bullying prevention programs; policies, standards, and practices set by school districts and out-of-school programs; national and state laws; and training.16, 17 The recommendations below should be implemented while engaging youth in identifying problems and solutions and combining their voices with those of bullying researchers and program and practice experts. In each state, pass legislation that clearly defines bullying, prohibited behaviors, and consequences; institutes prevention measures; and makes the connection between school climate standards/guidelines and bullying prevention programs. 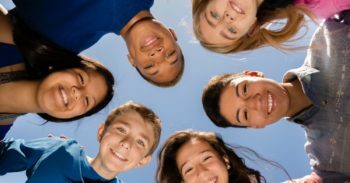 Under the federal Every Student Succeeds Act (ESSA) Title I, Title II (Part A), and Title IV (Parts A and B), fund social-emotional learning curricula, bullying prevention programs, and cultural awareness and harassment sensitivity training. Better enforce federal laws prohibiting discrimination against students and harassment of protected classes. Develop standardized definitions for bullying and institute a national requirement for elementary and secondary schools to track bullying and bullying prevention efforts. Create a universal method for reporting incidents of cyber bullying and harassment to internet providers in order to have the perpetrator’s content removed from the internet. In school districts, schools, and classrooms, have clear policies and guidelines outlining expected behaviors and consequences for bullying, and monitor and address bullying in teachers and students. Make anti-bullying programs a part of school culture and foster a culture of respecting diversity. Eliminate zero-tolerance policies for bullying that call for exclusion from school. Have school districts utilize school climate inventories to measure, evaluate, and improve school practices. Implement professional development for school faculty and staff that addresses school climate and bias-related bullying and harassment. Conduct adult skills training for educators, administrators, and community leaders so they know how to respond appropriately to bullying. Train adolescents and adults in appropriate use of technology. Teach adolescents and youth to protect their phone numbers and access to their computers. Have state education departments provide technical assistance to schools in the form of model policies or resources for curriculum implementation and professional development. Instruct the federal and state departments of education to clarify which SEL and bullying prevention programs are evidence-based. Encourage school districts to use these programs and practices. Implement evidence-based social-emotional learning and bullying prevention programs that help foster positive school climates. Specifically target transitioning students (from elementary to middle school and from middle school to high school) and middle schoolers about responsible internet use, civil discourse, and expected and prohibited behaviors and punishments. Smokowski, P. R., & Kopasz, K. H. (2005). Bullying in school: An overview of types, effects, family characteristics, and intervention strategies. Children & Schools, 27(2), 101–110. Espelage, D. L., & Swearer Napolitano, S. M. (2003). Research on school bullying and victimization: What have we learned and where do we go from here? School Psychology Review, 32(3), 365–383. Cioppa, V. D., O’Neil, A., & Craig, W. (2015). Learning from traditional bullying interventions: A review of research on cyberbullying and best practice. Aggression and Violent Behavior, 23, 61–68.